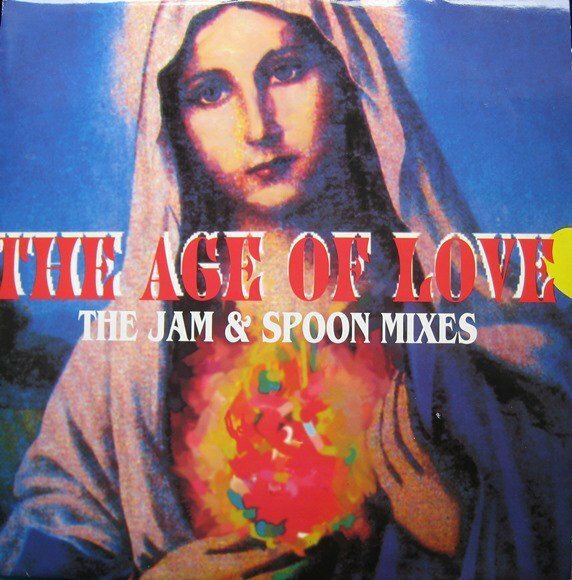 Another amazing classic vibe today "The Age of Love". The lyrics just say it all "Come on, Dance with me, Move your body, Your life's a beat.."
Vinyl is making a big comeback amidst this technological age. My collection of vinyl dance music is currently up for sale on Discogs as it's time to let my records spin on someone else's deck. I'm slowly gonna share my tunes with you Steemit music lovers out there. Please feel free to join me on this musical journey with a wide variety of dance vibes covering trance, techno, house, hard trance, progressive house, acid, progressive trance and much, much more. Vinyl has been around since the 50s and has had many competitors: tape, CD, mp3 to name a few but none are a challenger to the warmth and bass of vinyl. Fantastic Plastic continues to be the favourite music medium amongst many DJs. "The intimate experience of putting the record on, then flipping it over makes the music listening experience more personal and emotionally involving than playing a CD. It also makes music listening far more personal and deep than hitting a mouse button and passively listening to your playlist." It has recently made an unexpected comeback after almost disappearing in the early 2000s. Millennials are even being given credit for the vinyl revival with the second best selling audio device in 2016 being the turnable (of course, number one was the iPhone). For those of you not familiar with Discogs, this site was introduced in 2000 and is now one of the main resources for the sale of vinyl, CDs and even tapes, around the world. There is a huge catalogue available (over 9.5 million recordings) so it's easy if you wish to add your music for sale. Just create an account, list your goodies and once your tune sells, you can ship to your happy customer. Once a month, you will receive an invoice from Discogs to cover their costs. If anyone from the Discogs marketplace is out there, please bring your voice to Steemit and join this unique community. It would be awesome to see your catalogue and website distributed by the blockchain. If you are enjoying listening to these tunes, you'll probably like the sounds of an internet radio station called Ibiza Global Radio. Apart from the awesome tunes they play 24seven, their website is full of news about DJs, clubbing and loads more. Ibiza Global Radio is "The radio of your dreams - the music of your life - the sound of Ibiza, straight from the magic island, with daily Live radio shows." So don't hesitate and tune in now for some amazing electronic dance music. If you're a fan of dance music, you may want to follow Mixmag "the world's biggest dance music and clubbing destination". It was the "go to" dance music magazine back in the day and still is now. It is full of articles about music and includes many other features. It is a British magazine (published in London) and was launched in 1982. "Mixmag Records" also release mixes from the best DJs on the planet. sir @by24seven, great sharing. This gonna be amazing. Really our life a beat. Thank you so much for your sharing sir. I must follow mixmag, ibiza global radio. You are wonderful sir. I wish your bright future. Have a good day sir. Hello @by24seven, thank you for sharing this creative work! We just stopped by to say that you've been upvoted by the @creativecrypto magazine. The Creative Crypto is all about art on the blockchain and learning from creatives like you. Looking forward to crossing paths again soon. Steem on! dear @jason "The Age of Love". The song is very beautiful, lyrics and many beautiful, I love both songs and dances, and if these two are together then it is not in words, it is very difficult to find a person who does not like music.